ALS disease models used in the laboratory help researchers understand the basic processes of the disease, which is essential for developing new therapies. Important disease models in ALS include cells, worms (nematodes), flies, fish, mice, rats and stem cells. No model is a perfect representation of the human disease, but each model offers advantages for studying some aspect of the disease. Many of the models are used to test new therapies to identify those compounds or groups of compounds that are promising enough to bring to clinical trial in ALS patients. With the increasing number of gene mutations being identified for ALS, new model systems are in development to understand how these gene mutations lead to ALS. Many successful models have been generated carrying gene mutations of interest. Using molecular biology techniques, gene mutations are inserted into the model organism. Ideally, one would prefer to express the mutant protein levels comparable to that in humans, however, in most cases where expression of these mutated proteins is at low levels, disease does not manifest in the model system. The gene is therefore often “overexpressed,” that is, stimulated to make more protein than usual, in order to speed up the disease process. With the evolution of CRISPR/Cas9 technology, it is now possible to perform concise genome editing. CRISPR/Cas9 is a bacterial immune system that bacteria use to fight off invading viruses. It works by targeting a specific DNA sequence and then makes a break in the DNA. This gives researchers the opportunity to make specific edits to the cells’ DNA. For example, researchers are able to specifically target a gene to remove it, add a new gene or to edit its genetic sequence by inserting a mutation observed in familial ALS. CRISPR/Cas9 can also be used like a light dimmer for gene expression, in that researchers can tune the level of a gene’s expression up or down. This technology not only provides greater precision but significantly reduces the time taken to develop the model systems. The Association’s research portfolio supports a variety of model systems used for understanding of disease mechanisms and testing promising compounds. Applications requesting funding to test compounds of interest in rodent models with many characteristics of the human disease must be well designed and should adhere to the guidelines developed by the community. The naturally occurring dog model that carries a spontaneous mutation for SOD1 is extensively used for therapy and biomarker development. The Association supports a mouse model repository at Jackson Laboratories to enable detailed characterization and global distribution of these model systems. The ALS Association developed the SOD1 rat model used by academia and industry for drug development programs. Increased identification of gene mutations associated with ALS through big data initiatives enables the generation of a wide variety of new model systems. The CRISPR/cas9 technology is now widely used for the rapid generation of these new model systems. Motor neurons, astrocytes and co-cultured systems of multiple cell types, including muscle in a dish, are useful for studying the response of individual cells to toxins or potential therapies. Motor neurons carrying the mutant SOD1 gene have been used to study the process of protein aggregation, which researchers believe is harmful to motor neurons. Several studies have demonstrated that astrocytes secrete toxic factors that damage motor neurons and significant research has been dedicated to isolating these potentially toxic factors. 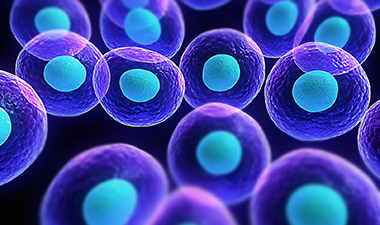 Exciting new opportunities have opened up with the development of induced pluripotent stem cells (iPSCs). These cells can be derived from the skin of an ALS patient, genetically modified and used to generate motor neurons in a dish. This should allow researchers to gain a deeper understanding of the disease process as it differs among different patients. See more information on the stem cell focus area page. Cell models are especially useful for rapid, “high-throughput” screening of thousands of compounds to discover drugs that may alter the disease process, potentially leading to new therapies. 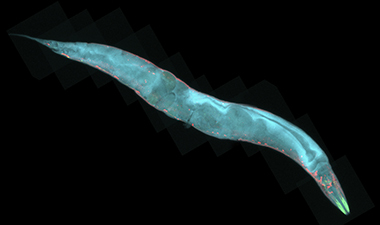 C. elegans are one of the simplest of animals that as an adult are only 1 millimeter in size. Its use has many advantages. They have only 959 cells, have highly conserved genes compared to humans and their behaviors are well described. Their simple structure, short lifespan of about three weeks, a short three-day life cycle and optically transparent body make it possible to study development of their motor neurons in detail in a short amount of time. All 302 neurons have been precisely mapped and can be simply visualized under a microscope using colored fluorescent markers. 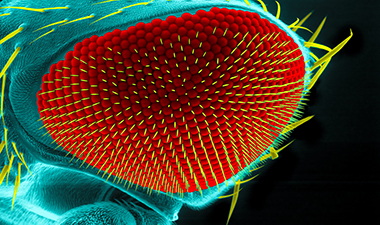 The fruit fly shares many of the same characteristics as nematodes. Its nervous system is more complex, and it has been possible to discover flies with mutations that lead to symptoms reminiscent of ALS. Additionally, known ALS genes, when engineered into the fruit fly, can produce visible manifestations in the fly such as changes in locomotion of the flies and an eye phenotype called “rough eye,” which is characteristic of neurodegenration. The flies can then be used to screen drugs that may improve those manifestations, potentially leading to new treatments for the disease. The zebrafish is a small, rapidly breeding freshwater fish that is easy to grow in the lab. As a vertebrate, it shares many developmental and anatomical features with humans. Screening for mutations that interrupt normal motor neuron function has led to new clues about vulnerabilities of motor neurons. 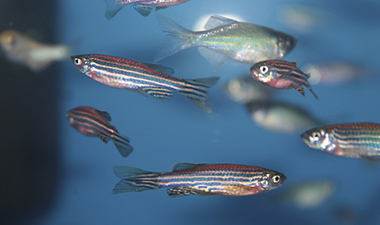 ALS gene mutations can be inserted into the zebrafish, and their effects on motor neurons studied. The mouse bearing the human gene for mutant SOD1 was the first lab model for ALS based on a known cause of the disease. It remains the most widely used animal model of the disease. The SOD1 rat is also widely used due to its larger size for gene therapy and stem cell approaches. 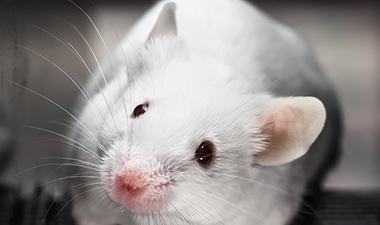 Rodents are especially important for testing potential therapies, since their nervous systems are much larger and more complex than other animal models. Several rodent models based on familial ALS genes have recently been developed, such as TDP43, FUS and C9ORF72, among others. Mouse models incorporating the newly discovered NEK1 gene are currently in development. All will undoubtedly enable rapid progress in finding new ways to approach ALS treatment.